The ATHENA Award Program recognizes and honors the achievements of outstanding professional and business women. It celebrates individuals who strive toward the highest level of accomplishment; women who excel in their chosen field but who also open paths so that others may follow. The ATHENA sculpture was created to capture and embody, in abstract bronze and crystal, all the strength, wisdom and power of the mythical goddess. The ATHENA Award Program is an international program. Since its beginning in Michigan in 1982, more than 7,000 awards have been presented in over 500 communities in 8 countries. The Palo Alto Chamber of Commerce is pleased to bring this important recognition program to women in Palo Alto. In additional to the ATHENA Leadership Award, the ATHENA Emerging Professional Leadership Award is granted to a woman who demonstrates excellence, creativity and initiative in her business or profession. Supporting, developing and honoring women leaders. Inspiring women to achieve their full potential. Creating balance in worldwide leadership. A nationally respected thought leader in human capital management, Jenny Dearborn is Senior Vice President and Chief Learning Officer of SAP, the world’s largest business-to-business software company, where she is responsible for the learning, development, talent management, strategic workforce planning, succession management and organizational development of SAP’s 87,000 employees worldwide. She is a board member of the Institute for Corporate Productivity and the Commonwealth Club, and is a regular contributor to USA Today, Forbes, Huffington Post and Fast Company. Her book, “Data Driven,” was #7 out of 11,000 business books published in the US in 2015. Her next book, “The Data Driven Leader,” will be out in late October 2017. 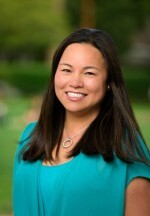 Jenny earned an MBA from San Jose State, a Masters of Education from Stanford, and a BA from UC Berkeley. A professional artist and competitive athlete, she lives in Palo Alto with her husband and four children. 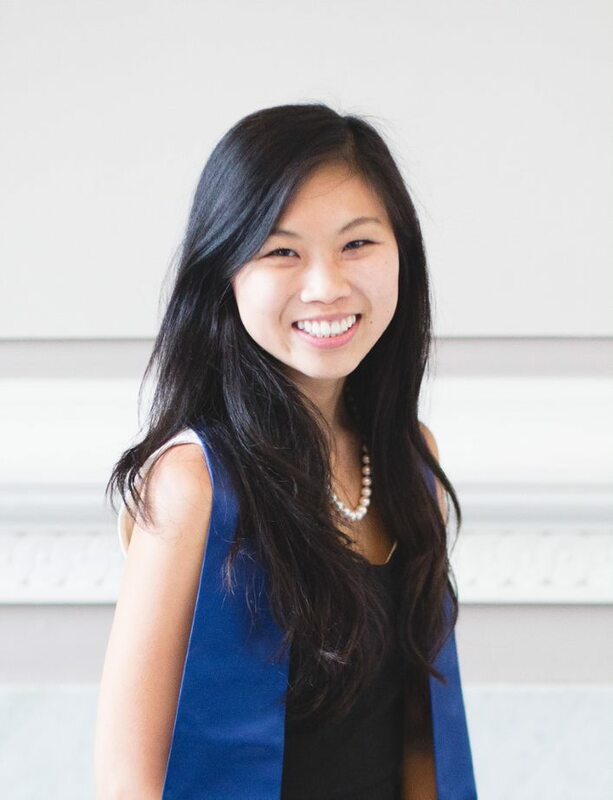 Anissa Leong is Manager of the Office of Protocol and California State & Local Government Relations at Hewlett Packard Enterprise. Anissa oversees public sector protocol and event execution for meetings with government elected officials and HPE executives. She is also responsible for state and local government affairs in the State of California and helps to develop strong political and community networks for the corporation. She graduated from the University of California, Berkeley majoring in Legal Studies and Public Policy. Upon moving to Palo Alto to work at HP, Anissa helped to jumpstart the Emerging Professionals in Commerce (EPIC) Young Professionals section of the Palo Alto Chamber of Commerce. Anissa is an active leader both inside her company and out in the community, serving as the President of the Young Employee Network at HPE and President of the Cal Alumni Association Bay Area Chapter. She has also volunteered at the East Palo Alto Boys and Girls Club teaching a weekly cooking class to 5th graders. In 2010, Anissa received the Minerva Scholarship Award through Maria Shriver’s Women’s Conference that recognizes and rewards young women who have made an impact in their community and strive for excellence. Karen Kienzle, as the Director of the Palo Alto Art Center, oversees a vibrant organization that inspires the artist in everyone through a diverse range of exhibitions, public programs, educational events, and art classes for more than 100,000 adults and children annually. She provides vision and direction for all aspects of the Palo Alto Art Center and provides leadership to the Palo Alto Art Center Foundation. With the Foundation, Kienzle worked to successfully raise a $4.1M capital campaign and provided leadership for the $9.1M building transformation and subsequent reopening. Contributing her experience and passion for audience development, community outreach, collaboration, and marketing, Kienzle has expanded the Art Center’s impact in the community, overseeing the successful On the Road program during the Art Center’s renovation and subsequent move back into its transformed facility. Kienzle’s approach to programming reflects her commitment to diversity in the context of ethnicity, gender, age, and media. Karen is a graduate of the Getty Museum Leadership Institute at the Claremont Graduate University and this fall is attending the Stanford Executive Program for Nonprofit Leaders. She received the Silicon Valley NextGen Emerging Leader award in 2012 and was selected in 2014 to attend the National Arts Strategies Executive Leadership Program. Her career has been dedicated to exploring the potential of art and museums as tools for communication, learning, personal expression, and community building. Candice Gonzalez, President and Chief Executive Officer of the Palo Alto Housing (PAH), is the recipient of the ATHENA Young Professional Leadership Award. The Palo Alto Chamber of Commerce is proud to honor Ms. Gonzalez as its third recipient of the award. PAH develops, builds, and manages affordable housing in Silicon Valley with a mission to create stronger, more diverse communities. Candice’s duties involve over-seeing the strategic direction of the organization, including real estate development and financing, property and asset management, resident services, and staff management, administration of the Below Market Rate programs for several cities, and general housing advocacy. Palo Alto Housing was initially focused only in Palo Alto. The need for affordable housing spans the region and Candice has expended the organization’s work to include other Silicon Valley cities. 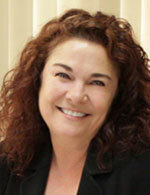 Candice currently serves as the Chair of the Board of Housing Trust Silicon Valley. An immigrant from the Philippines, Candice and her family were beneficiaries of affordable housing in the East Bay. Her commitment to the mission of Palo Alto Housing comes, in part, from her personal experience of the value of growing up in a stable affordable environment. Now the mother of three, Candice continues to balance motherhood and her significant responsibilities at PAH. Eileen Richardson, Executive Director of the Downtown Streets Team, epitomizes and embodies the spirit of the ATHENA Award. It is with pride and honor that the Palo Alto Chamber of Commerce recognizes Ms. Richardson as the 29th recipient of the ATHENA Award. Ms. Richardson began her career at a Boston venture capital firm in 1989. By 1996 she was a VP focusing on international high tech investments and one of a handful of women in the male-dominated industry. In 1998 Ms. Richardson moved to Palo Alto and was the CEO of Napster and CEO of Infravio before deciding to spend time with her family and began volunteering at the Downtown Food Closet in Palo Alto. In 2005 she became the first employee of the Palo Alto Downtown Business and Professional Association’s new initiative, Downtown Streets Team. The program started with 4 homeless team members and today has 220 active team members in the bay area and has housed 467 people and found jobs for 363 men and women. The program has also been named as one of the Top 50 Innovations in American Government by the Ash Institute of the Kennedy School of Government at Harvard University. Ms. Richardson was named one of Silicon Valley’s Women of Influence in 2013 and has received many awards and honors for her work. Stephanie Martinson, Founder of Racing Hearts, is the recipient of the ATHENA Young Professional Leadership Award. This is the second year the Palo Alto Chamber of Commerce has conferred this award and it is very proud to honor Ms. Martinson as its second recipient. Ms. Martinson, CCC-SLP, is a Speech Pathologist at the Palo Alto Veteran Affairs Hospital, and has been a medical contributor to research findings relative to traumatic brain injuries. Ms. Martinson was diagnosed with an enlarged heart at age 23 and has undergone 8 heart surgeries. In 2012, she founded Racing Hearts, a nonprofit advocating and funding lifesaving automated [heart] external defibrillators, AEDs. Racing Hearts has placed over 200 AEDs in the Bay Area, serving 415,000+ community members, developed a free smartphone app to locate and map community AEDs, and produces an annual 5K/10K Heart Race at Stanford. Racing Hearts also pioneered the recent success of CA Senate Bill SB658 which makes CA one of the most progressive states in AED legislation. Ms. Martinson has set an extraordinary example in bringing life saving awareness of AEDs to the center of attention in our area. Jane Williams, Chair and co-founder of Sand Hill Global Advisors, epitomizes and embodies the spirit of the Athena Award. It is with pride and honor that the Palo Alto Chamber of Commerce recognizes Jane as its 28th recipient of the Athena Award. As Chair, Ms. Williams advances the firm’s strategic direction and business development goals and oversight of Sand Hill’s compliance function. She is on the Investment Adviser Association’s Board of Governors and numerous other industry organizations. 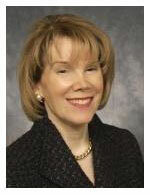 She is a recognized expert for individuals, particularly women and couples in financial transition. She serves the family court as a qualified expert, testifying on prudent investment strategies, rate of return and related financial topics. Ms. Williams has been active in a variety of nonprofit efforts during her 38 year career. She is Vice Chair of the UC-Santa Barbara Foundation, board member of Overcoming Barriers, Advisory Board Member of the Ravenswood Family Health Center and member of Palo Alto Medical Foundation’s Philanthropy Advisors Council and past board member of Silicon Valley Community Foundation. Jacquetta Lannan, Founder of Chez Franc LLC, an artisan Hot Dog innovation on California Avenue in Palo Alto, is the recipient of the first ATHENA Young (later "Emerging") Professional Leadership Award. 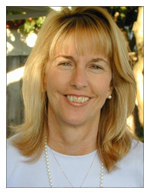 The Palo Alto Chamber of Commerce is very proud to honor Ms. Lannan as its first recipient of this award. 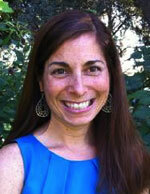 Ms. Lannan is a Palo Alto resident and business owner. She began her professional life as an employment attorney before following her dream – owning her own restaurant. She has a Grand Diploma in French Cuisine from the International Culinary Center. Her community service and mentorship of other women, specific criteria for this award, began while she was an attorney. She established California Workplace Investigations to fairly investigate workplace violence, discrimination and harassment complaints. Through her work with the Junior League of Palo Alto•Mid-Peninsula, she led a class for 80 women on civic leadership, led a committee to provide health and nutrition information to over 100 local families, and a myriad of other community service projects. 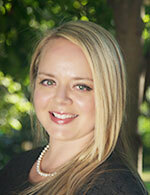 Ms. Lannan serves on the Junior League’s Board of Directors. She continually demonstrates her deep belief in community service to help other women. Anne Warner Cribbs, President/CEO of Cribbs & Co. and the CEO of Bay Area Sports Organizing Committee (BASOC), epitomizes and embodies the spirit of the ATHENA Award. It is with pride and honor that the Palo Alto Chamber of Commerce recognizeS Anne as its 27th recipient of the Athena Award. Ms. Cribbs, a Palo Alto native and Olympic Gold Medalist at the age of 15, has spread the Olympic Ideals “Faster, Higher, Stronger” throughout the community and lived them both in her personal and professional life. 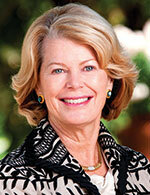 After graduating from Stanford, Anne launched a career of public relations, community service and advocacy for sports. She began at the Palo Alto Parks and Recreations Department, then joined Gary Cavalli at Cavalli and Cribbs. They subsequently co-founded the American Basketball League, the first women’s professional basketball league in the United States. Anne became President and CEO of the San Francisco Bay Area Sports Organizing Committee (BASOC) in 1998, and organized National and International sporting events held in the Bay Area with an economic impact approaching $100 Million. Through the events, she has touched the lives of many professional, amateur, Olympians, Paralympians and weekend athletes, hundreds of coaches, thousands of volunteers and competitors. Recent events Anne led and organized include the 2009 Summer National Senior Games, along with annual Bay Area Senior Games, USA Swimming National & Junior National Championships, 40th Anniversary celebration of Ping Pong Diplomacy in San Francisco and San Francisco’s 2012 Olympic Bid. Ms. Cribbs holds a bachelor’s degree in Political Science from Stanford University, is a past member of the Stanford Athletic Board, a Block S holder, has been inducted into three Halls of Fame (Menlo Atherton High School, San Jose Sports and San Mateo County); received the 2012 Bay Area Legacy Award from America Scores and currently serves as Chair of the California Senior Games Association and board member of USA Table Tennis. Ms. Cribbs lives in Palo Alto, California with family. Rebecca M. Nelson, Senior Vice President of Wealth Management at Technology Credit Union, epitomizes and embodies the spirit of the ATHENA Award. It is with pride and honor that the Palo Alto Chamber of Commerce recognizes Rebecca for its 26th anniversary of the ATHENA Award. Ms. Nelson, a Palo Alto native, has a 25-year background in the financial services industry including executive team, senior management and division leadership roles in sales, administration, trust services, and investments at national and community banks and credit unions. Prior to joining Tech CU, Becky served as the Vice President and Senior Wealth Advisor for Union Bank’s Private Bank. She is deeply involved in the local community, serving many Palo Alto and Silicon Valley area nonprofits, community organizations and professional associations. These include but are not limited to: The Stanford Medical Youth Science Program, Palo Alto Art Center Foundation, Palo Alto Medical Foundation, The Ronald McDonald House at Stanford, Lucile Packard Foundation for Children’s Health and the El Camino Hospital Foundation. She serves on the Jerry A. Kasner Estate Planning Symposium and is a sustaining member of the Palo Alto Financial Planning Forum and member of the Peninsula and Santa Clara County Estate Planning Councils. 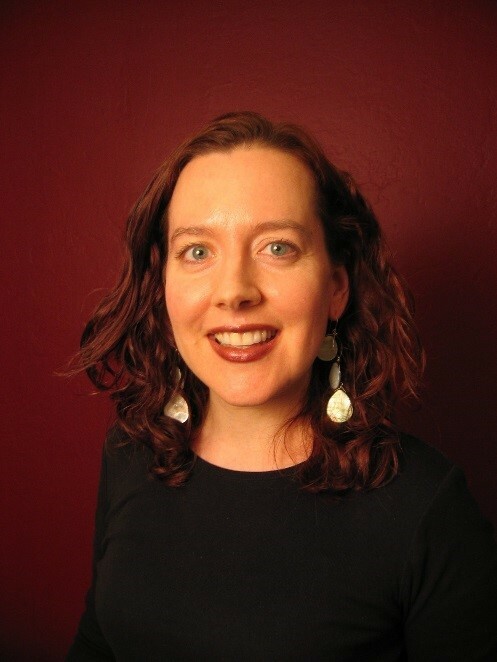 Becky holds a bachelor's degree in sociology from the University of California, Los Angeles, and has completed post-graduate executive programs at Stanford’s Graduate School of Business. She holds FINRA licenses for Series 7 and 66, a Life Insurance license and is designated as a Certified Wealth Strategist. Becky lives in Redwood City with her husband, John Nelson.